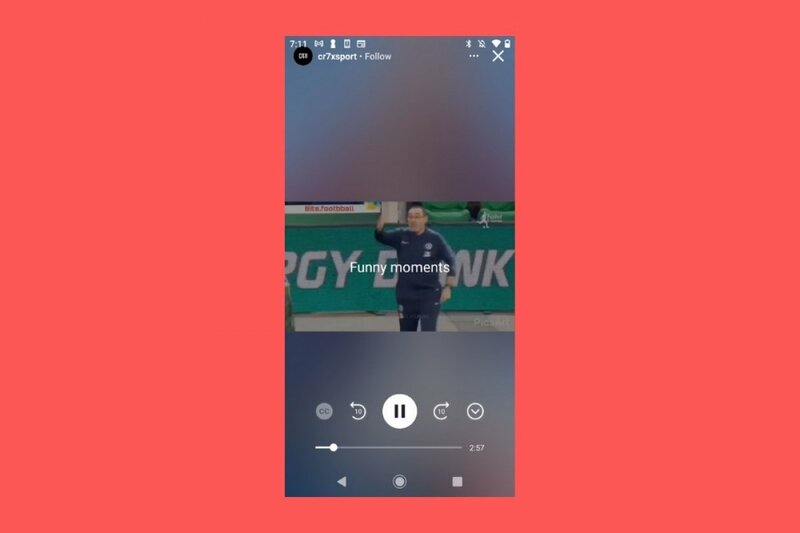 Browsing through the app: there are several ways of discovering content in IGTV. On the one hand, there’s a search engine that you can access by pressing the magnifying glass button and where you’ll have to write the keywords you want to search for. On the other hand, there are different categories available on the application’s interface and that you can browse through by simply swiping. These categories include contents suggested for you based on what you play or follow, channels to which you’re subscribed, popular contents amongst other users and videos that you haven’t finished watching. Settings: on the right hand side of the main screen you’ll find a gear icon that offers you access to the app’s options. Here you can configure your accounts associated to Instagram and Facebook, log out or report a problem. User profile: also from the main screen, you can access you user data. You’ll see a tiny button illustrated with a profile picture. If you access this section, you can view the videos you’ve shared and upload new contents. Upload videos: you can upload videos from Instagram or IGTV by clicking on + and record them live or upload them from your phone’s gallery. The idea behind simplifying IGTV to the max is to be a direct competitor for YouTube, the most important video platform in the world where users share their own contents. What is IGTV and what's it for?